Do You Need Rental House Insurance if You’re Renting Your Home? For many American individuals and families, renting a home is a much more economically sound investment than buying a home. 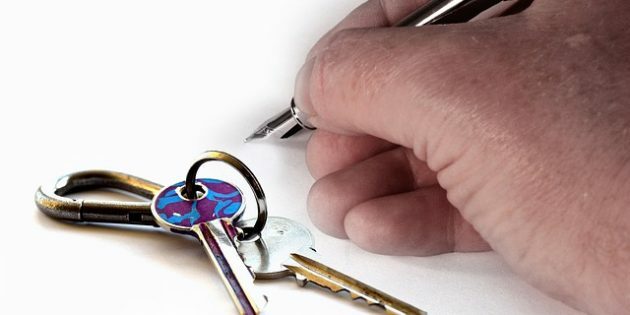 For the person renting out the home, however, there are a number of risks that need to be addressed before allowing anyone to live in a home they have purchased. Homeowners insurance policies can cover a lot of the basics when renting out a home, but many opt for more extensive coverage, which is where rental house insurance or landlord insurance comes in. Landlord insurance is a policy for someone who rents out a home they own and typically includes property and liability coverage, both of which are designed to help the landlord avoid incurring major financial losses. In short, it’s the same as any other type of insurance. It exists for the landlord’s protection. What Does Rental House Insurance Cover? The property coverage portion of a landlord insurance policy typically includes coverage on the dwelling itself should it incur any damage in a storm, fire, or other covered losses. It also covers other detached structures like a fence or garage, as well as certain personal property items like a lawnmower or snowblower that is left on the property all year long. As with auto insurance, liability coverage in this instance refers to the payment of any medical bills and legal expenses that can come with certain injuries that occur on your property. This wouldn’t cover every injury, but if a landlord is found responsible for the injury, this insurance would make sure that building owners and injured parties are both properly protected. As with most insurance plans, landlords have more options if they want to pay slightly higher premiums for them. Landlord insurance plans also could cover vandalism and burglary, for example. Other policies protect a structure during construction or renovations or from changing building codes that require upgrades after damage. When Should I Invest in More Than Homeowner’s Insurance? If you are planning on renting or leasing your home to one person, a couple, or a family for longer than six months, you may want to seriously consider adding landlord insurance coverage to the home. While they are a little pricier on average than standard homeowners’ policies, the increased protections that come with landlord insurance can help you sleep easier at night. Also, if you often rent out your home as a vacation rental or an Airbnb, you are putting yourself at increased risk for a lot of potential damage that many long-term renters would never consider committing. In these two instances, we here at Insurance by Castle recommend investing in a landlord insurance policy, and of course, we are happy to help get that drawn up for whatever property or properties you own. As with all insurance policies, landlord insurance is an investment, but when it comes to renting out your home for any reason, it often is an investment worth making. Get Your Insiders eBook on how you can reduce your insurance cost by as much as 37%!